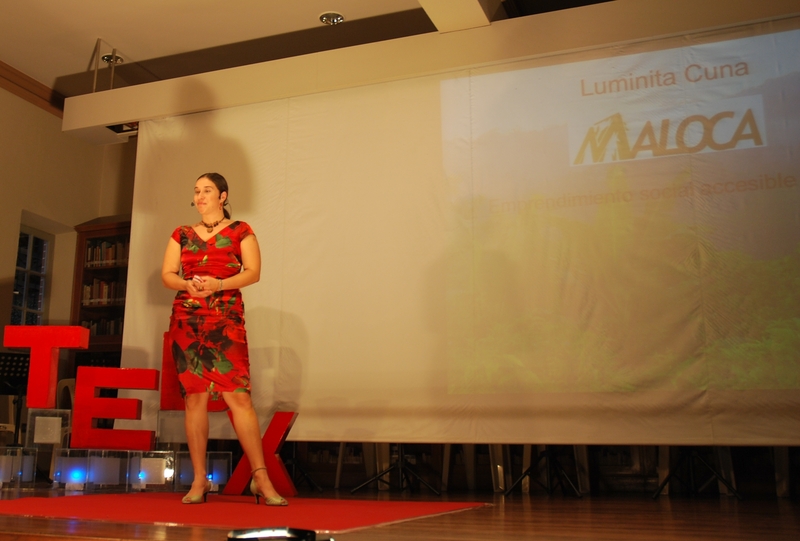 On November 23, 1021, in Cochamabma, Bloivia, took place the TEDx SansFrontiers event, focused on social entrepreneurship. We are happy to report that Luminita Cuna, Director of Maloca, was invited as speaker to this event, where she represented her work, Maloca and Village Earth. TEDx events are independently organized TED events part of the well known TED organization (Technology, Entertainment, Design) whose inspirational TED Talks on hundreds of subjects attract millions of viewers worldwide. The TEDx Cochabamba event gathered interesting speakers who were creating change in the world, through various means. From solutions to eco-energy from pellets made out of chestnut shells to bringing ecological coffee production that is already benefiting hundreds of families, the projects and ideas presented at the conference fit the motto of Ted talks “ideas worth sharing”. Through Luminita, Maloca and Village Earth work were presented to a large audience of social entrepreneurs, academics and private sector representatives.